The following biographies are for the 2018-2019 AIB Executive Board. The board will serve from August 1, 2018 to July 31, 2019. 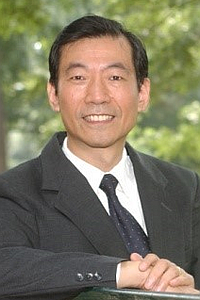 Professor Kwok is Distinguished Business Partnership Foundation Fellow and Professor of International Business at the University of South Carolina. He received a Ph.D. degree with a major in International Business from the University of Texas at Austin. His research concentrates on international finance and international business education. He is one of the pioneers conducting interdisciplinary research on how national culture influences various financial practices around the world. He has published over seventy refereed journal articles as well as five books and monographs. His articles appear in journals such as Journal of International Business Studies, Academy of Management Journal, Review of Finance, Journal of Corporate Finance, Journal of Banking and Finance, Journal of Business Ethics and so forth. He contributes frequently to the Journal of International Business Studies, having published 17 articles in this flagship journal of the Academy of International Business. His academic papers have received a number of awards, including the prestigious Moskowitz Prize, given by the Center for Responsible Business, University of California at Berkeley. He has served on eight journal editorial boards, being a member of the editorial board of Journal of International Business Studies under different editors-in-chief. He was the AIB Vice President-Administration in 1995-1996. Together with his colleagues at the University of South Carolina, he conducted two rounds of Global Survey of International Business Education for the Academy of International Business (1990s and 2000). He served as a chairman and member of the AIB Best Paper Award Committee as well as a mentor of AIB Junior Faculty Consortium. Besides teaching at the University of South Carolina, he has been consistently invited as a visiting professor at universities around the world, including the Peking University (Beijing University, PRC), the Chinese University of Hong Kong (Hong Kong, PRC), Jiaotong University (Shanghai, PRC), Wirtschaftsuniversitat Wien (Austria), and the Monterrey Institute of Technology (ITESM, Mexico). 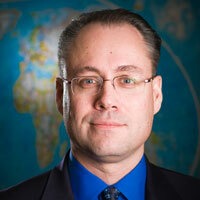 Through the years, he has received numerous teaching awards from different universities in the U.S., Europe and Asia. The doctoral students he supervised have received the best AIB dissertation award and the best dissertation proposal award at the Financial Management Association. Besides teaching regular full-time business students, he also conducts seminars for multinational corporations such as Verizon, Westinghouse, International Paper Corporation, Sonoco, Milliken, Flour and so forth. He was interviewed by the National Public Radio ("All Things Considered" program), China's CCTV (national TV channel of China), and WIS-TV on Newswatch program. 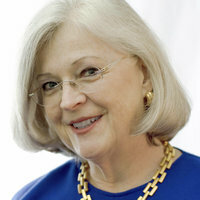 Dr. Marjorie Lyles is the OneAmerica Chair in Business Administration and Professor of International Strategic Management at the Indiana University Kelley School of Business, Bloomington-Indianapolis. In 2011, she was awarded the John Ryan Award by the President of Indiana University for excellence in international development activities, teaching and research. She has received an honorary doctorate from Copenhagen Business School in 2017 and she is currently past president of the Strategy Management Society. 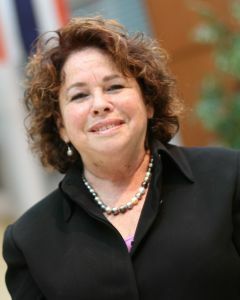 Her teaching and research have focused on emerging economies since the mid-1980s. She has been doing projects and work in China since 1985 when she was a consultant with the U. S. Department of Commerce in the Dalian programs. She has regularly returned to China and has been teaching a course on China to the Indiana University Kelley School MBAs since 1998. She also teaches an MBA course on emerging economies which includes a consulting project with micro-enterprises. In 2018, the country is South Africa and the MBAs will be working with businesses in the township of Diepsloot. Dr. Lyles brings more than 30 years of international business research, teaching, and consulting experience to the Kelley School. She was the founding director of the Indiana University Center on Southeast Asia and serves on the International Advisory Board of the American Management Association. Lyles has also been Visiting Professor and scholar at Cambridge University (England), St. Gallen University's Institute of Management (Switzerland), Universiti Sains Malaysia, the National Institute of Development Administration (Bangkok), Copenhagen Business School, and the Imagination Lab (Switzerland). At Kelley, Lyles teaches a course that allows students to travel to China to consult with Chinese companies. In addition to her academic work, Lyles has also worked with governmental, non-profit, and corporate entities across the globe. She has consulted with USIS, World Bank, USAID, UNDP, and private firms in Malaysia, Hungry, Vietnam, Poland, People's Republic of China, and Indonesia on international strategies, education development projects, infrastructure projects, the development of the private sector, and needs assessment for management training. She also serves as a consultant to domestic firms pursuing international strategies. Lorraine Eden holds the Gina and Anthony Bahr '91 Professorship in Business in the Department of Management at Texas A&M University, where she teaches courses on Transfer Pricing, Multinational Enterprises and the Economics of International Business. Dr. Eden has a PhD with Distinction in Economics from Dalhousie University in Halifax, Canada. She has been a Fulbright Scholar and a Pew Fellow, and was the inaugural holder in 2011 of the John H. Dunning Visiting Professorship at the University of Reading. Her research interests are transfer pricing, MNE-state relations, and MNE strategies. She has 150+ publications including six books and 60+ articles in journals such as Academy of Management Journal, Academy of Management Review, Canadian Journal of Economics, Journal of International Business Studies and Organization Science. Dr. Eden has been actively involved in the Academy of International Business for many years. She was a track chair at the 1998 Vienna AIB meetings. She was AIB Vice President (2000-2002) and Program Chair of the 2002 Puerto Rico meetings on "Geography and International Business". At the November 2001 meetings in Sydney, she founded WAIB (Women in the Academy of International Business), now with 800+ members worldwide. She worked with Temple University to establish the AIB Best Paper Award, first given at the 2002 meetings. In 2004, she was elected a Fellow of the Academy of International Business. As an AIB Fellow, she has served on a variety of Fellows committees including co-chairing the 2006-2007 committee on constitutional changes. She also chaired the 2010-2011 AIB presidential committee that developed the Code of Ethics for the AIB Leadership and served on the journals committee. In 2012, she received the AIB President's Award for her contributions to AIB and the field of international business. Dr. Eden also has many years of experience as an editor of the Journal of International Business Studies, starting as a guest editor (2000-2001). She was a JIBS departmental editor (2003-2006), JIBS editor-in-chief elect (2007), JIBS editor-in-chief (2008-2010), and JIBS consulting editor (2013-present). In 2007, she oversaw and implemented the journal's move to Scholar One, developed a set of journal policies, and wrote the JIBS Code of Ethics. During her term as JIBS editor-in-chief, she wrote nearly two dozen JIBS editorials, chaired several JIBS Paper Development Workshops, introduced the JIBS Best Reviewer Awards, and celebrated the 40th anniversary of the journal. 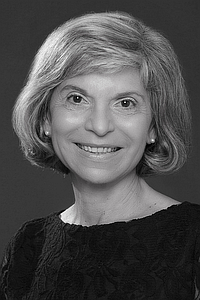 Dr. Eden has also been active in the Academy of Management where she is best known for her work on AOM's The Ethicist Blog, which she developed and coordinated, writing multiple blog posts on research ethics (2011-2014). She is married to Charles Hermann. They have three adult children and three grandchildren. Maria Tereza Leme Fleury is full professor of International Management at both Fundação Getulio Vargas (FGV) and the University of São Paulo (USP). She was dean of the School of Business Administration (2008 -2015) and currently the Director of FGV, a Brazilian think-tank. Previously at University of Sao Paulo, she was the Director of the School of Economy , Administration and Accountancy - USP. She was Research Fellow at the Institute of Manufacturing at Cambridge University, UK at the Institute of Development Studies, University of Sussex, UK, Institute for Development Economics, Japan, and Visiting Professor at ESSEC – France. Professor Fleury has served as Director of BALAS – the Business Association of Latin American Studies and ANPAD – the Brazilian Association for Graduate Studies and Research in Management, through which she organized the 2010 AIB Annual Conference at Rio de Janeiro. She served as editor of Revista de Administração USP and she is member of the editorial board of international and Brazilian journals. She is member of the board of Academic and Professional Associations like IE, Madrid, Lisbon Business School, Lisboa, the Center for China-Latin America Management Studies of Tsinghua University, Beijing, and the Columbia Global Centers Latin America of Columbia University, New York. She has published 25 books and more than 90 articles on Strategy and Competency Management, International Strategy and Management, Human Resources Management. In the last 15 years, her main focus of research and publication is about the emerging country multinationals, comparing different countries and regions. Rebecca Piekkari is Professor of International Business at the Aalto University School of Business, Finland. She received her PhD from the Helsinki School of Economics and has held prior positions at Copenhagen Business School, Sheffield University and University of Bath. Rebecca has served as Vice Dean for Research and International Relations and is currently the Head of the International Business group at Aalto University School of Business. Her research focuses on control, coordination, communication and organizational design issues in multinational corporations, with a special focus on the challenges posed by multiple languages. She has also worked extensively on the use of qualitative methods, particularly the case study, in international business research (with Catherine Welch). In 2014, Rebecca co-edited a special issue of the Journal of International Business Studies on the multifaceted role of language in international business (with Mary Yoko Brannen and Susanne Tietze). Rebecca is an active member of the Academy of International Business (AIB). She has served as member and chair on the selection committee of the Peter Buckley and Mark Casson Doctoral Award and as faculty member in various paper development workshops. She has also contributed to the AIB UKI chapter conference by offering workshops on qualitative research methods for PhD students and junior faculty and acting as a panellist in the doctoral colloquium. She finds mentoring, supervising and training doctoral students and junior faculty particularly important and rewarding. Rebecca has published over forty refereed journal articles, almost thirty book chapters as well as four books and has been a co-editor on five special issues focused on language in international business, qualitative research methods, international strategy and cross-cultural management. Her work has appeared in journals such as the Journal of International Business Studies, Journal of Management Studies, and Academy of Management Review as well as in several handbooks in the area. She also serves on the editorial boards for such journals as Journal of International Business Studies, Global Strategy Journal, Organizational Research Methods, Journal of World Business, Organization Studies and Critical Perspectives on International Business. She is an elected Fellow of the European International Business Academy (EIBA). 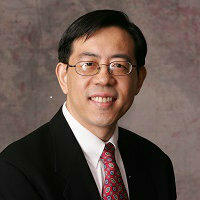 Jiatao (JT) Li is Lee Quo Wei Professor of Business, Head and Chair Professor of Management, and Senior Associate Dean of the HKUST Business School, Hong Kong University of Science and Technology. His current research interests are in the areas of organizational learning, strategic alliances, corporate governance, innovation, and entrepreneurship, with a focus on issues related to global firms and those from emerging economies. His work has appeared in top academic journals such as Academy of Management Journal, Academy of Management Review, Journal of International Business Studies, Organization Science, and Strategic Management Journal. JT received his Ph.D. in strategy and international management from the University of Texas at Dallas, and was previously with McKinsey & Company in Hong Kong, a leading global management consulting firm. JT has been a champion for promoting international business scholarship, particularly in Asia. Under his leadership, HKUST now sponsors the "IM Division HKUST Best Paper in Global Strategy" award at the International Management Division of the Academy of Management. JT is Program Chair for the Strategic Management Society (SMS) Special Conference in Hong Kong in December 2016, on the theme of "Contextualizing Strategic Management in Asia: Institutions, Innovation and Internationalization". He looks forward to an opportunity to serving the Academy of International Business with a perspective from the dynamic Asian region. Hadi Alhorr is an Associate Professor at the Boeing Institute of International Business at Saint Louis University. He earned his Ph.D. from Texas Tech University. Since joining the faculty of Saint Louis University in August of 2006, Dr. Alhorr's teaching has primarily focused on Global Strategy across the undergraduate, masters, executive masters and doctoral levels. He has taught several international business and management classes in universities in China, France, Hungary, Spain and Lebanon and has worked with multinational firms in Europe and the Middle East. 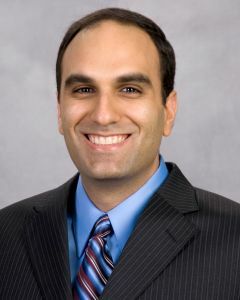 Dr. Alhorr has also served as a chair and/or member on seven dissertation committees. Dr. Alhorr has received several recognitions and nominations, including Outstanding Professor in the Executive Masters of International Business, Best Faculty Experiential Learning Award, and Outstanding Faculty Advisor Award. Dr. Alhorr has served on a number of university committees at Saint Louis University. These include two consecutive terms as an elected member of the faculty senate, the Strategic Enrollment Management Recruiting Council, the university's Compensation and Fringe benefits He has served as a member of the John Cook School dean's search committee, diversity committee and the graduate board committee Campus Governance task force. Dr. Alhorr has also been an active member of the Cook School of Business's assessment committee since 2006 and the Gender Equity Task Force at Saint Louis University. Dr. Alhorr has edited a book and has published and presented in some of the top academic journals and conferences of International business and strategic management. His research has been focused on organizational strategic planning within economically integrated regions with a primary focus on the strategic choices of multinational corporations. Dr. Alhorr has been a consultant to the Ministry of Higher Education of Sri Lanka to operationalize the ministry's strategic plan of making Sri Lanka a South East Asian knowledge hub. Dr. Alhorr has been serving as the Placement Center Coordinator for the Academy of International Business since 2008. During his tenure as the placement coordinator, the Academy of International Business placement center has experienced a steady growth in the number of universities and job applicants that utilize the placement services of the Academy; and accordingly, Dr. Alhorr has received several recognitions for his outstanding service to the Academy of International Business. 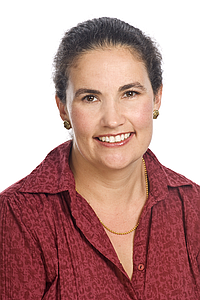 Helena Barnard is a full professor at GIBS and is the director of the GIBS doctoral programme. Her research interests are in how knowledge (and with it technology, organisational practices and innovation) moves between more and less developed countries, particularly in Africa. She researches how this takes place both through organisational mechanisms (notably emerging multinationals and internet-enabled businesses) and individual mechanisms such as scientific collaborations, doctoral training and the diaspora. Helena has been an invited speaker on emerging market multinationals at inter alia Aalborg University in Denmark (February 2006), Northeastern University in Boston (August 2012), the COST Action Group at the European International Business Academy in Sussex, UK (December 2012) and at NYU at a conference organised by Ghemawat (September 2016). From 2008 to 2010 she, together with the University of Lund (Sweden) conducted a cross-national project on innovation in the automotive and ICT industries in South Africa, India and China. 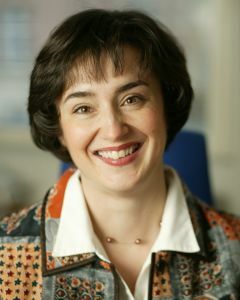 Helena served on the executive and scientific committee of an EU-funded FP7 project on global innovation networks (2009 – 2011). She also developed the proposal leading to Academy of Management, the leading professional organisation for management scholars, conducting its first-ever conference outside of North America at GIBS in Johannesburg in January 2013. She was on the organising committee for that conference, the Academy of Management Africa conference at GIBS in 2013. She currently serves on the editorial board of the Global Strategy Journal. She has published in among others JIBS, Research Policy and the Journal of International Management, She is involved with an ongoing project with the University of Strasbourg (France) on global academic collaborations and with the Oxford Internet Institute on how online markets are changing business across borders. She is a fellow at the CEIBS Center for Emerging Market Studies and has been invited to join the DIODE network (Development Impacts Of Digital Economies) at Manchester University. 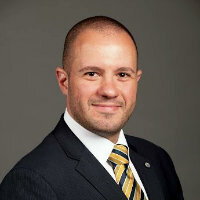 Luis Alfonso Dau is an associate professor of International Business and Strategy at the D'Amore-McKim School of Business, Northeastern University. He obtained his doctorate in International Business and Strategy at the Moore School of Business, University of South Carolina (Promising Researcher Award); and his Global MBA from Thunderbird and ITESM (Valedictorian). He is also a John H. Dunning Visiting Fellow at Henley Business School, University of Reading. Prior to his Ph.D. studies, he was a successful manager and entrepreneur in Guadalajara, Mexico. His research focuses on the effects of globalization and institutional changes on the international strategy and performance of emerging market firms. His work has received numerous awards and has been published in the leading academic journals in the field, including Academy of Management Journal, Journal of International Business Studies, Journal of World Business, Global Strategy Journal, Journal of International Management, Management International Review, Entrepreneurship Theory and Practice, and Journal of Business Venturing. He has also conducted field research in several Latin American countries, including Brazil, Argentina, Chile, Peru, Colombia, and Mexico. Dr. Dau is also an accomplished instructor and communicator; whose teaching interests are primarily in international business and global corporate social responsibility. He has taught a number of undergraduate and graduate courses for which he has consistently received exceptional teaching evaluations. He has taught or given presentations at top schools in several emerging markets, including IPADE and ITESM in Mexico, UDD in Chile, PUC in Brazil, and IIM Calcutta in India. He is an impassioned and energetic communicator, having won various public-speaking awards from Toastmasters and other organizations. Moreover, he speaks English, Spanish, and French fluently, has a working knowledge of Italian, and has extensive international experience, having visited over 50 countries. In addition, he has been actively involved over the years in a number of service roles for the Academy of International Business and other academic organizations in the field. For instance, for the Academy of International Business he has served as conference track chair, doctoral student consortium chair, outreach development committee member, strategic planning committee member, paper track scientific committee member, and volunteer. Moreover, he was recently elected as a Representative-at-Large for the Global Strategy Interest Group of the Strategic Management Society. In addition, he is on the editorial review boards of Journal of International Business Studies, Journal of World Business, and Global Strategy Journal. Dr. Tomas Hult is Professor, Byington Endowed Chair, and Director of the International Business Center in the Eli Broad College of Business at Michigan State University. He is also Executive Director of the Academy of International Business (AIB), President of the Sheth Foundation, and serves on the U.S. District Export Council. Tomas Hult hosts the radio show globalEDGE Business Beat on the Michigan Business Network. Hult is one of the world’s leading academic authorities (citations, publications) on international business, international marketing, strategic management, global supply chains, and complex multinational corporations. He is one of only about 80 Elected Fellows of the Academy of International Business, an accolade achieved by only the elite international business scholars. He was also selected the 2016 Academy of Marketing Science / CUTCO-Vector Distinguished Marketing Educator as the 2016 top marketing professor in the world for scholarly career achievements. Professor Hult is coauthor with Charles W. L. Hill of the market-share leading textbooks in international business: Global Business Today 9e (2016) and International Business 11e (2017). He has also done popular business trade books titled Second Shift (2016), Global Supply Chain Management (2014), Total Global Strategy (2012), and Extending the Supply Chain (2004), and had op-ed works published in Time, Fortune, World Economic Forum, Lansing State Journal, and The Conversation, among others.